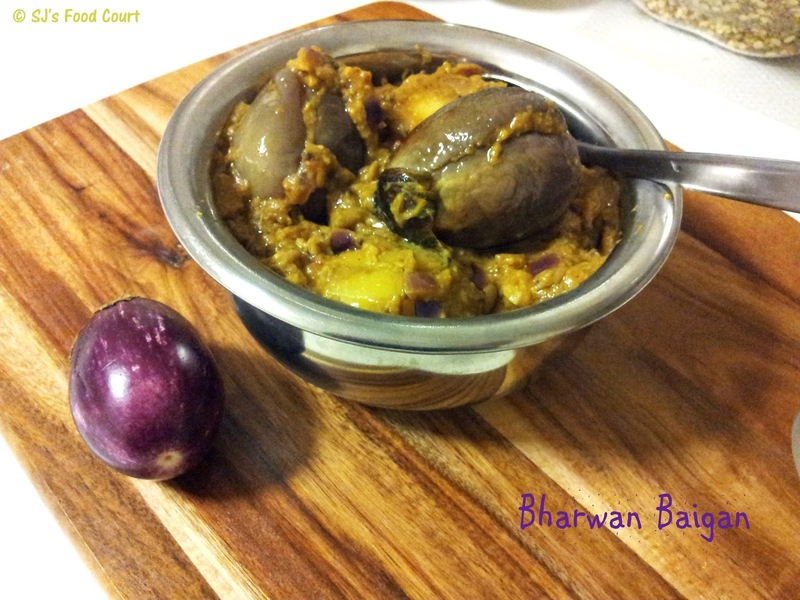 - Wash brinjals well and pat dry them. - Take besan in a pan. Dry roast it for a 3-4 mins or till it starts changing color. - Transfer it to another bowl and cool it down to room temp. - Take peanuts, fennel seeds and sesame seeds in a mixer jar and grind it coarsely. Add it into bowl along with spices and mix well. 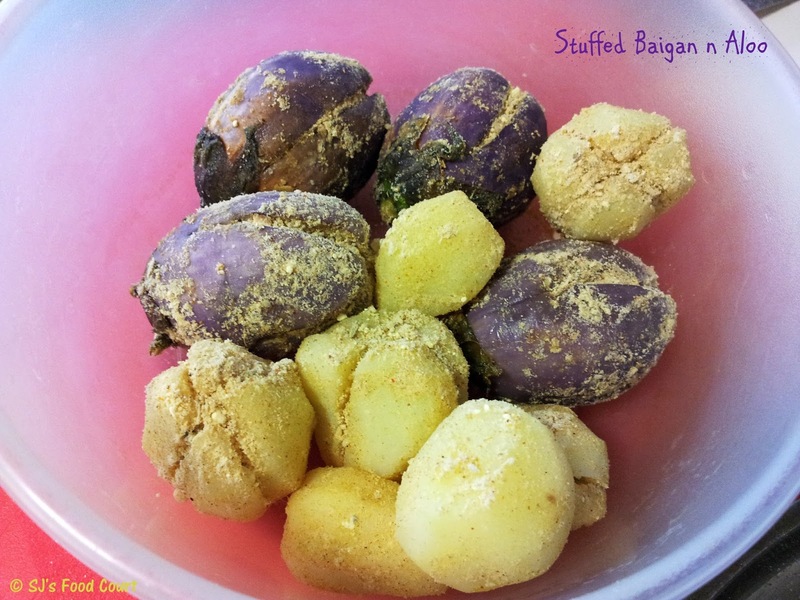 - Stuff this mixture into brinjals and potato slits. - Heat oil in a kadai and add mustard seeds into it. Once it stops spluttering, add cumin seeds and hing. - When it starts cracking, add chopped onions and minced garlic into it. Saute it for a while and add tomato puree. Cook it for one more minute. 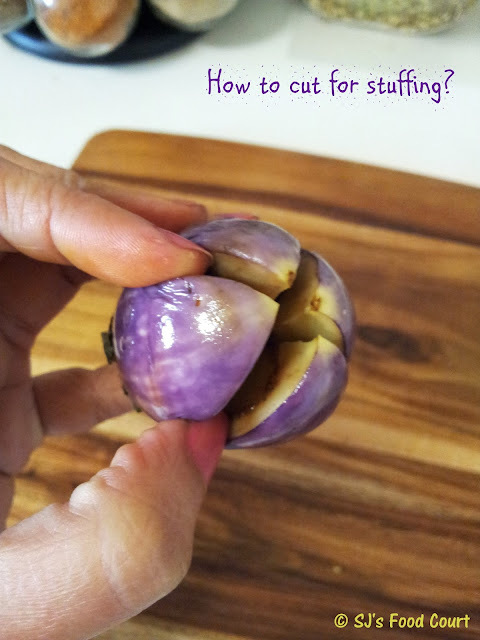 - Add stuffed brinjals and potatoes into it. Add remaining mixture to form gravy and 1/2 cup water. Mix everything gently. - Cover it with a dish filled with water and cook it for around 15-20 mins. Cook a few mins more if required. - Lemon juice can be used to replace Amchur powder. - Desiccated coconut is a great addition for lifting up the flavors!